Astragalus root has been used in traditional Chinese medicine for centuries as a restorative tonic; it is considered a sweet, warming herb with effects on many organs. It is used either alone or with other herbs to help with ageing, improve energy, and stimulate the immune system during conditions such as the common cold, blood disorders, cancer and HIV/AIDS. 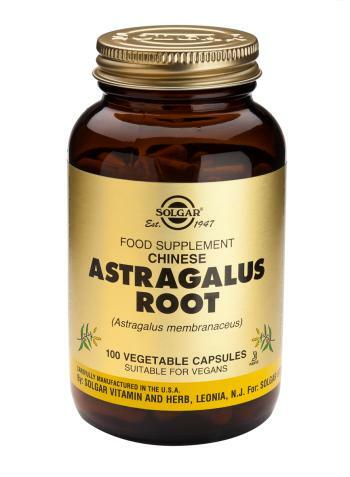 Chinese Astragulus Root Vegetable Capsules is one of Solgar's premium quality botanical formulas.